Zillow is rolling out a new feature called “3D Home” that creates an immersive experience straight from an iPhone app. How do you feel this will impact those Matterport Service Partners who support the real estate industry? This will obviously have a direct hit on MSPs because the convenience of using a phone app is immediate and adoption will occur faster. BUT, there will still be an excellent market for MSPs because of the feature rich capabilities - especially, tagging with content. Chillax, you have at least 12-18 months before it becomes even possible for agents to use this correctly and, by that time, Matterport will have an even stronger presence, market share and demand from property owners. Additionally, the expectation of content such as text, links, images and video will be set - a phone app will NEVER be able to compete at that level. "How do you feel this will impact those Matterport Service Partners who support the real estate industry?" For anyone genuinely worried about the actual impact I'd suggest you do a simple search. 1. Go to zillow and perform a home search. 3. Now look through search results. At the top left of each image will be information. Homes tagged with "Video Walk Though". 4. If sorted "newest" count down 20 listings and give me your percentage. Chances are you will be surprised at how few agents use the free and easy to use app to create a video for their listings. So in a market where 95% of an agent's prospects are online looking at homes first. On the largest most well known real estate portals. The majority of listings agents have not taken the 10-15 minutes to use a free tool to differentiate their listing. NOW... imagine that same agent being told they have to spin in a circle 10 times and mark each time with arrows... Do you think the % will be higher or lower than the current VIDEO %? "According to the Seattle-based real estate technology company’s 2017 Housing Trends Report, more than 70 percent of first-time home buyers are millennials and they consider 3D media to be as important as open houses. Additionally, 44 percent of home buyers and 47 percent of renters are searching for a home from a distance — either from a different city, state or even out of the country"
I think the MSP's that think like "marketers" and not "photographers" will have a lot to gain from this. The key is to offer "experiential marketing" - which is a relatively new phrase being used by ad agencies and marketers who are using VR and AR to take marketing efforts into another dimension. 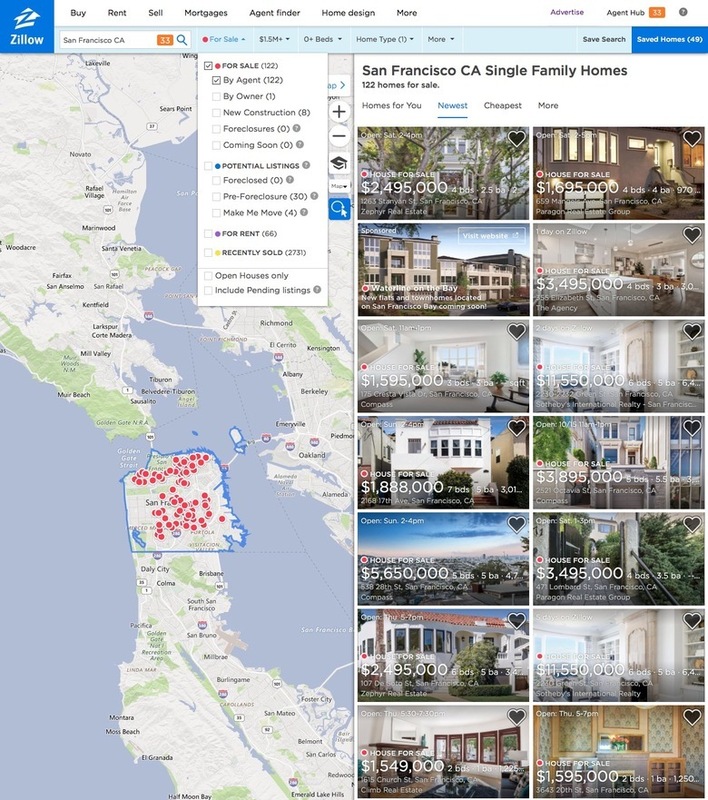 Content will still be king - and those who are able to incorporate multi-media Mattertags in a creative and compelling way will separate themselves from the basic Zillow StreetView experience. That said, I'm sure Zillow is also looking into ways to incorporate "The Best of Matterport" (like the room thumbnails that they are already showing) into their app. Zillow puts about $200 million dollars into R&D each year. They're using a big part of that budget for VR development - because as Zillow co-founder Rich Barton said, "VR is a HUGE technology interest to the real estate industry." Good points LewisBishop on the adoption and utilization of Zillow's video walkthroughs. A real estate agent's top priority is always going to be relationship building and sales. Their marketing efforts many times are based on what they've always done, or reoccurring requests from their typical customer base. The larger scale adoption of the video walkthrough or 3D tours may naturally wait until the market (Millennials and others) voice more of a demand for it. The market usually dictates the demand - unless you're innovative companies like Apple or Amazon who can oftentimes create demand for products/services they invent that the market doesn't even know they want yet. Zillow's new feature is only relevant to Zillow. I would be more concerned if it was an open platform that was owned by Zillow and available to use on all listing sites. It's a neat little feature. I wonder if it's a reaction to the realtor.com/Matterport integration. Zillow thinks Realtors are dumb and will see their product as equal because it misleadingly claims to be the same thing. Many people don't understand why Matterport is actually 3D. Zillow complicating terminology further. ... The majority of listings agents have not taken the 10-15 minutes to use a free tool to differentiate their listing. NOW... imagine that same agent being told they have to spin in a circle 10 times and mark each time with arrows... Do you think the % will be higher or lower than the current VIDEO %? Seems like creating the Zillow videos is a terrific optional extra - or free with purchase - opportunity. Matterport Service Providers need to stay focused on helping agents win more and bigger premium listings: not on comparing the tech. The most successful realtors know that they experience the best results when they focus on their core competencies -- and one of their biggest is SALES. They are willing to invest in other "professional services" so those providers can produce the best results using their core competencies. They know that a realtor snapping photos/video with their iPhone will never yield the same professional results as a professional photographer/videographer. As in most things in business, you typically get what you pay for. A real estate agent's time is money, so them spending their time to take 360 photos with a free Zillow app is not free. In fact, it will probably cost the realtor more in opportunity costs (sales lost or delayed due to them doing something outside of their core "sales" competency). As Dan mentions, MSPs serving the real estate market, need to stay focused on helping agents win more and bigger premium listings: not on comparing the tech. Being a leader and differentiator gives real estate agents a huge competitive advantage with the Millennials and other sellers/buyers who want all the tech-savvy tools they can use to showcase and help sell their home faster. I'll be curious to see if Zillow will enable other 3D walkthroughs (like Matterport) to be linked through the same icon link they design for their iPhone solution. Either way, I think Zillow and Realtor.com promoting 3D tours/open houses will get more people using and demanding them. It will help it gain more popularity, exposure, and adoption. I was one of the agents who didn't bother with the current Zillow video walk thru tour. You have to use their app on your iphone. You can NOT add text, or do any edits at all. The length is limited. You have to shoot it all in one take - though you can keep pausing it so you can get more in. But then I realized that if you did their tour - you automatically went to the top of the Zillow search results for properties in your area! You can't even buy your way to the top any more. This is huge! So I did the Zillow video tours for my listings immediately! I get more views from Zillow on my listings than all the other sites combined. So if they do a 3 D tour app, I will be first in line to use it! Zillow doesn't want to share their app results with other sites. Having unique video content only on their site helps them place higher in the search engines. How does this affect MSP? Means some agents like me, don't buy a camera. I will probably start paying for the tours instead. If I was an MSP provider I would also include the Zillow tour as part of the package, knowing it would pop them up higher with Zillow. @EileenB - what you have said is very true and practical, for Zillow. And, you're right - because of the simplicity of performing the video and its inherent "Zillow" value, it should be done... if for nothing else, it's a value proposition. For all the MSPs, please ALWAYS mentioned one, if not the best, USP for a Matterport Tour - dedicated property detail pages! These are the best way for an agent to market the property outside of the MLS, particularly Social Networks. Why does an agent want to do this? THEY SHOULD ALWAYS WANT THE HOLY GRAIL - BOTH SIDES OF THE TRANSACTION! The whole enchilada. Again, from a fellow broker - my 2 cents and a bag of chips.